We’re proud to announce that Khaloom’s handwoven recycled fabrics have been chosen by fashion studio Maison the Faux and featured as part of their show MAISON pour MAISON at the AFW studio! 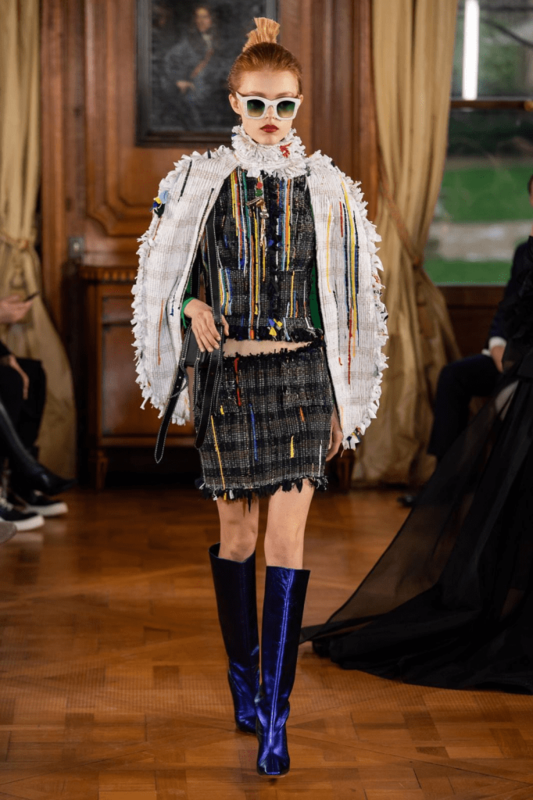 On special request of Ronald van der Kemp (world famous haut couture designer, also known for dressing stars like Beyonce & Lady Gaga) Khaloom made this unique fabric for his Spring 2019 show in Paris. The fabric is handwoven from leftover scraps of fabric and made into a matching top and skirt. His entirely up-cycled collection was received with great critique! 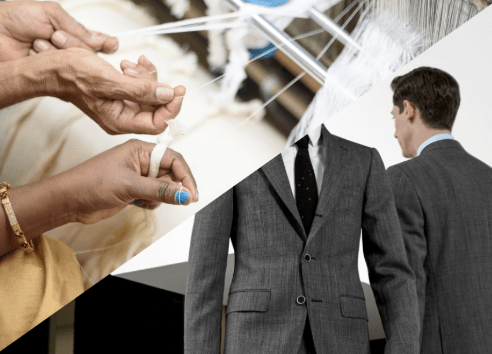 We are bringing to life only 50 handmade, 100% recycled, individually tailored suits. Hand woven out of waste. Brought to you by Khaloom together with the tailoring master on wheels, Suittruck. 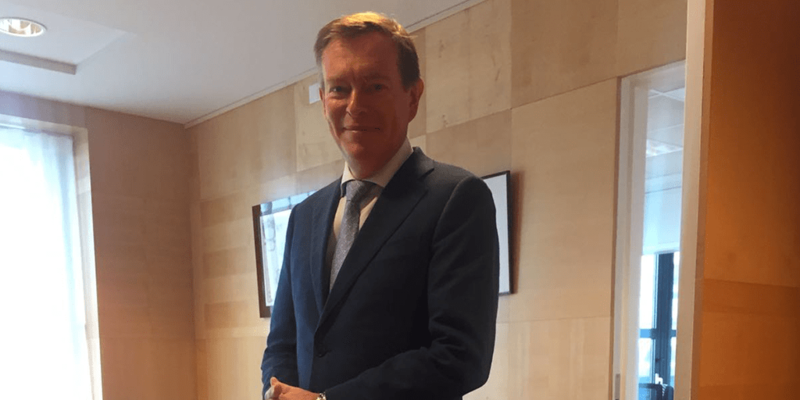 Khaloom has previously collaborated with world-class designer Ronald van der Kemp to create an iconic dress for the Dutch Minister Kaag, and with the innovative suit expert Suit Supply to design a tailor-made suit for the Dutch Minister Bruins. Suittruck is not shy of public figures either. The disruptive Arjen Lubach, creative Lucas Hamming, and tough Pete Philly are regular customers of the traveling tailor. These limited edition suits are handmade from Khaloom’s hand woven and recycled fabric. 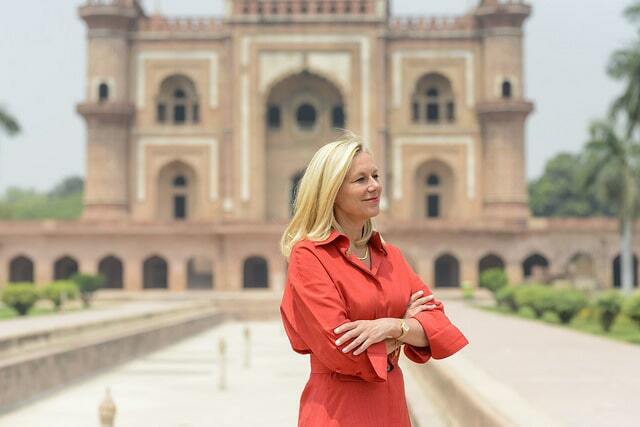 We use the force of impact-driven entrepreneurship to set a new norm for the global fashion industry. 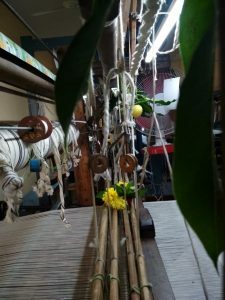 By hand weaving high-end fabrics out of textile waste. With this collection we want to enable everyone to look sharp in a zero-waste suit. If this collection is a success Khaloom can become a part of Suittruck’s fixed collection and supply to the mainstream market. 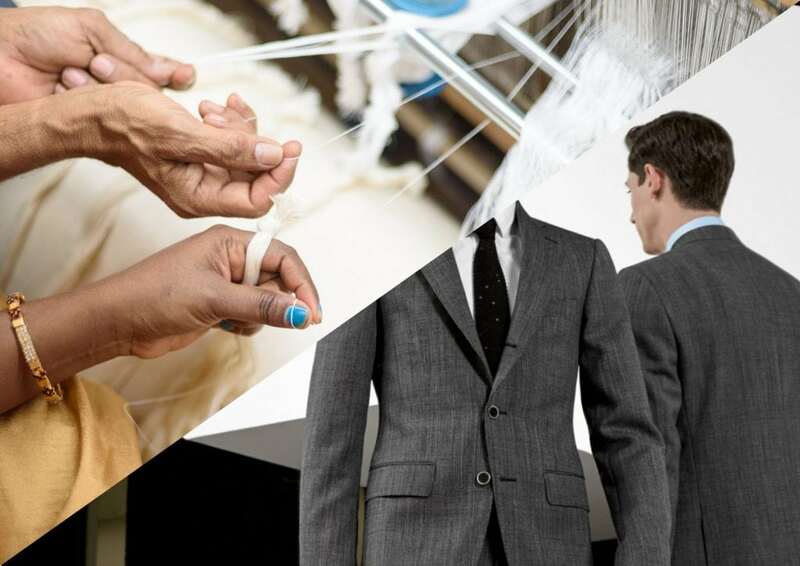 These 50 suits are the fuel for acceleration to a circular economy. The textile industry is the most polluting industry after oil and gas. Worldwide 92 million tons of textile waste is created annually. 16% of this is post-production waste, and 85% ends up in the ever fast growing landfills. And only a meager 13-15% of textile waste is recycled, of which mostly to low-value products such as mattresses and isolation material. We’re proving that the textile value chain can be more sustainable through entrepreneurship, innovation and cooperation. At Khaloom, post-production and clothing waste is a source of material. 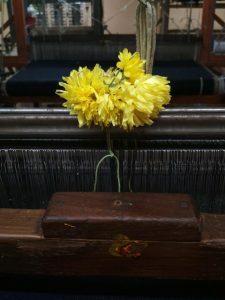 Hand weaving, a process rooted in Indian culture, is used to transform recycled yarn into high-quality fabrics. 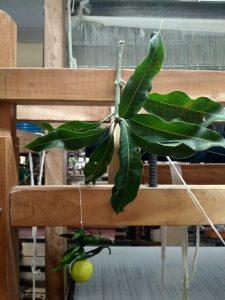 Hand weaving requires zero energy, nor emits CO2. Only man power. By using recycled yarn Khaloom also saves more than 126,000 liters of water. Suittruck ensures that fewer clothes are thrown away because of their approach. Many new clothes in stores are burnt or thrown away at the end of each season. Suittruck shows that this is unnecessary. With custom-made clothing, they only produce what is bought. With their truck they drive to the customer’s door, do a full-body scan to retrieve the right measurements, and the customer chooses the fabric, buttons and all the design options. The sizes are then stored in an online profile, so that the customer can easily order a new item online later! 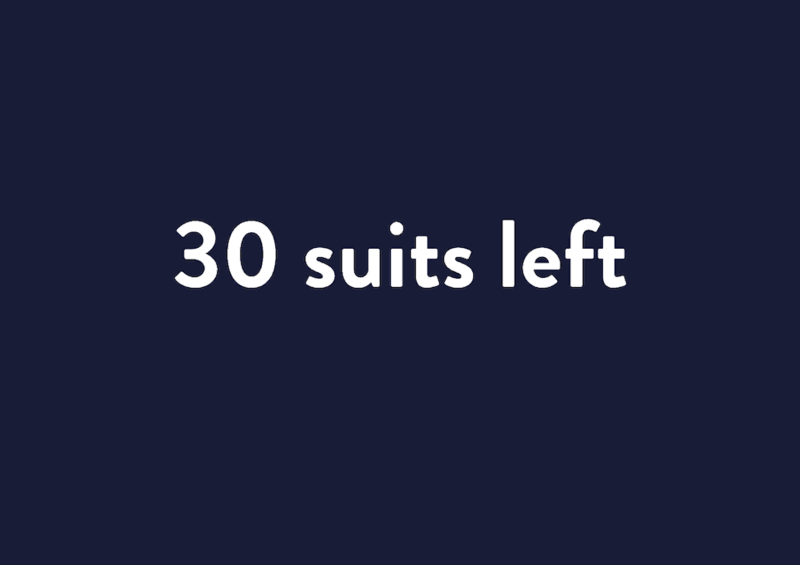 Will you be wearing one of the 50 sustainable suits? Send an email to Khaloom’s Partnership Manager rubie@enviu.org for more information or to make an appointment! We are bringing to life only 50 handmade, 100% circular, individually tailored suits. Suits hand woven out of waste. Brought to you by Khaloom together with the tailoring master on wheels, Suittruck. The textile industry is the most polluting industry after oil and gas. Worldwide, 40% of all clothing produced is thrown away and only a shocking 1% of textiles are recycled. Annually, 21.5 million new items of clothing are destroyed and do not even reach the market. We are proving that the textile value chain can be more sustainable through entrepreneurship, innovation and cooperation. At Khaloom, post-production and clothing waste is a source of material. 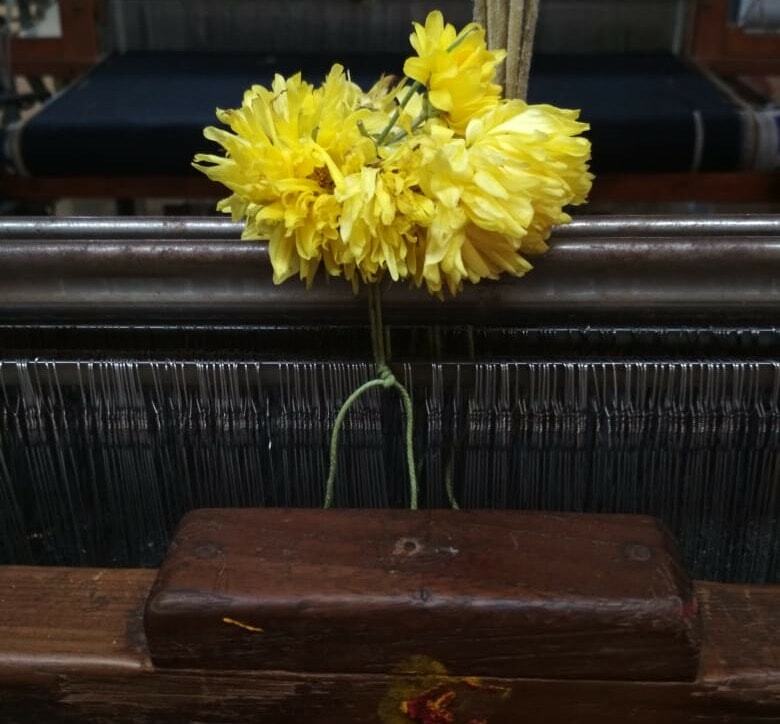 Hand weaving, a process rooted in Indian culture, is used to transform recycled yarn into high-quality fabrics. Hand weaving costs zero energy or CO2, only manpower. By using recycled yarn Khaloom also saves more than 126,000 liters of water. Today is Prinsjesdag, an important day in Dutch politics where the cabinet presents its policy for the coming year. 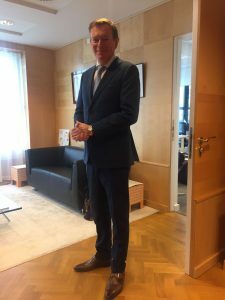 And for the occasion the Dutch Minister of Medical Care & Welfare is wearing a suit by Suit Supply made from our 100% recycled handwoven fabric! Where Dutch Minister Sigrid Kaag made a statement with her circular red dress (also made from our 100% recycled fabric, together with Ronald van der Kemp), Minister Bruno Bruins also took the opportunity to showcase that sustainable and circular clothing is possible. The suit demonstrates cooperation is a necessity to bring about positive change. Minister Bruins getting ready for the big day and looking sharp in the circular suit! Today is Gowri Pooja in Karnataka, India. The day before Ganesha Pooja. 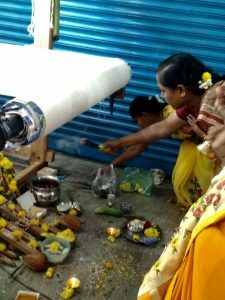 Traditionally the handlooms are worshipped on Ganesha Pooja day as livelihood providers. Accordingly with this tradition Khaloom’s weavers honoured our handlooms… What a beautiful tradition to witness! 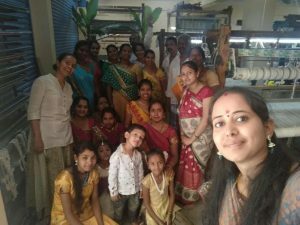 Greetings from all of the weavers and their families!